Whimsically purchasing nonsense you don’t need from Amazon just isn’t easy enough. One-click ordering, two-day shipping—or same-day delivery if you’re lucky—are fine, I guess, but now Amazon is letting you add items to your shopping cart straight from Twitter. All it takes is a hashtag. The new Twitter partnership, called #AmazonCart, lets you reply to tweets containing Amazon links with the aforementioned hashtag. If your Twitter and Amazon accounts are connected—you can link them in your Social Settings here —Amazon will drop the item in your cart. According to CNET, Twitter doesn’t get a cut from purchases powered by #AmazonCart, probably because using the hashtag doesn’t complete the transaction. You have to sign in to Amazon to actually finalize your order. Social-conversion platform Chirpify works with companies like Adidas and Oreo to activate hashtags those brands use in their print and TV ad campaigns. Users who tweet the so-called “action tags” can get free stuff, like a delivery of flavored Oreos. Twitter hasn’t yet taken advantage of retail in its quest to become a profitable public company, but with partners like Amazon running their own e-commerce experiments on the network, it seems a likely next step. Twitter has reportedly been in talks with back-end mobile payment startup Stripe to power social shopping, but it’s unclear if the network has plans to launch any products in the future. 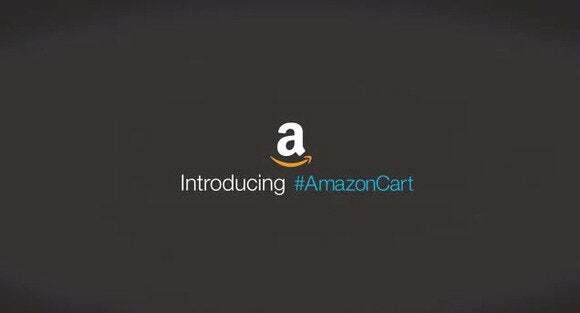 This story, "Amazon teams with Twitter to turn hashtags into shopping shortcuts" was originally published by TechHive.